Did your New Year’s resolution include brushing up on your dancing skills? Then get ready to make good on that promise with ballroom dancing lessons at The Towers in Narragansett. Every Wednesday evening, take in spectacular coastal views from one of Narragansett’s most iconic landmarks while learning the steps to these enduring – and dare we say, enchanting – dances. No experience or partner is necessary, and leather-soled shoes or dancing shoes are suggested. We recommend a quick bite and beverage at Chair 5 before heading out. Trust us, you’ll need your energy as professional teachers guide you and glide you around the dance floor. 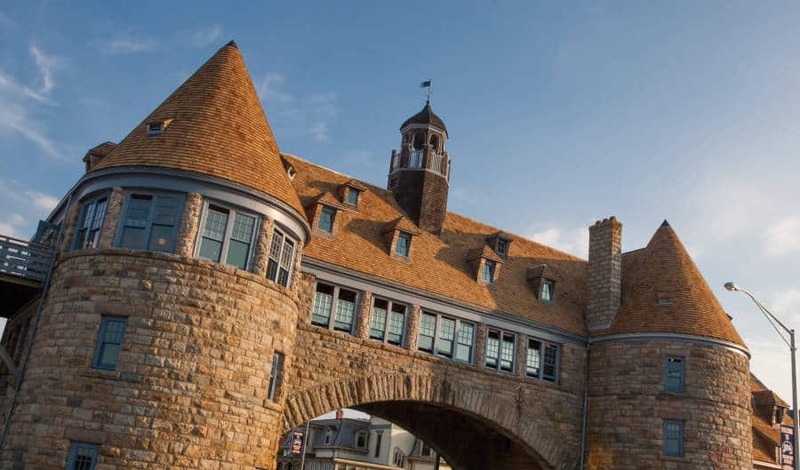 The Towers were constructed in the 1880s as the centerpiece of the now-defunct Narragansett Pier Casino and served as the hub of social activity. These granite behemoths have survived their fair share of disasters – fires and nor’easters, to name a few – but have remained standing throughout, earning them an aura of indestructibility. Today, The Towers play host to events throughout the year, such as the ballroom dancing lessons, expos, and weddings. 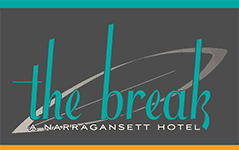 They remain a major attraction, making them a Narragansett must-see (especially if you’re playing our Instagram Scavenger Hunt! ).